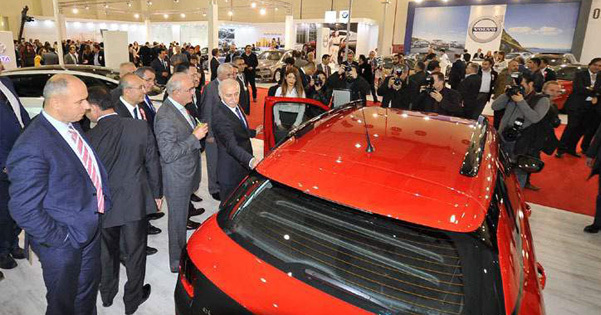 Speakers from both Turkey and the world will address developments and trends with all aspects in the automotive sector at the 3rd edition of World Automotive Conference (WAC) in Istanbul. The future of automotive and logistic sector will be discussed with all aspects at World Automotive Conference (WAC). According to the statement from the WAC, the senior officials of the sector will come together at Silence Istanbul Hotel & Convention Center on 29-30 November 20126. The WAC at which domestic and foreign speakers will address developments and trends with all aspects in the automo0tive sector will be held its 3rd edition this year. The WAC will analyze the sector with its entire dimensions with the number of over 450 participants. Lots of participants such as Minister of Economy, Minister of Industry, Borusan Logistic, Ford Otosan, Tofas Fiat, Aston Martin, TUBITAK MAM, IBM, Siemens, OPET, Bosch and Panasonic will take place at the conference in addition to Germany, the UN, America, Qatar, Iran and Russia with their representatives. On the first day, how the global trends would affect the sector, Turkey’s position in digitalization together with industry 4.0 and their effects to the sector will be discussed at the conference. Transatlantic Trade and Investment Partnership (TTIP) agreement and topical information about the EU Customs Union will be also shared; supply chain in the digitalization period and how cooperation with logistic firms would lead the sector will be discussed on the first day of the conference. On the second day, developments about intelligent transport systems (ITS) and infrastructure and technology sector both in Turkey and the world will be discussed. In addition, electric vehicles and battery technology, autonomous and connected vehicles will take place at the conference.